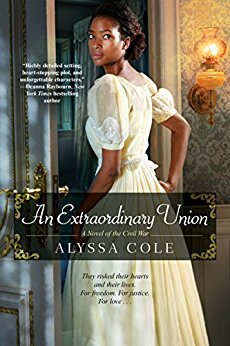 Continuing our month-long celebration of romance novels, this week's Book Giveaway is Alyssa Cole's historical romance/adventure An Extraordinary Union. I'm only about halfway through it, but thus far the romance stuff is fine, but a bit of a distraction from the A+++ spy action. A full review will follow shortly.